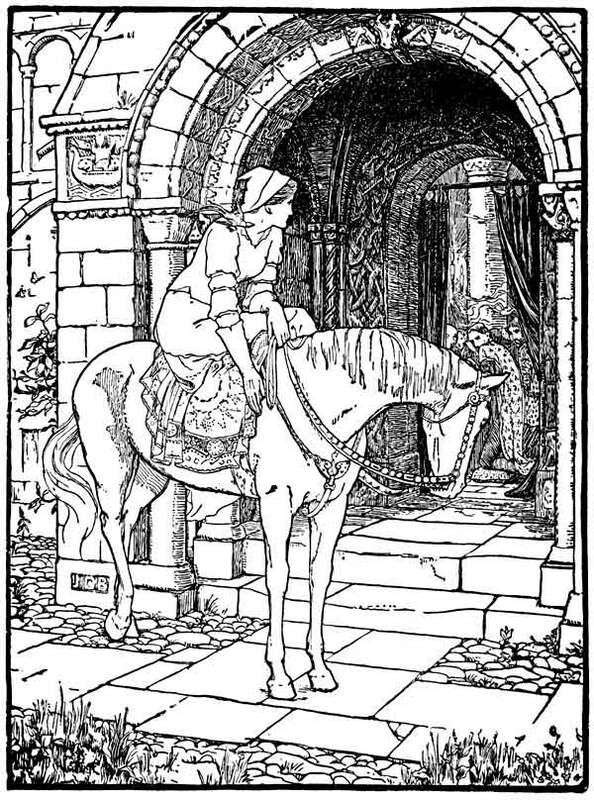 Fair, Brown, and Trembling is a Celtic Cinderella story involving a king's three daughters named Fair, Brown, and Trembling. Trembling was the prettiest and because of this, had to stay home to cook and do work. There's a horse to the rescue. It is one of our Favorite Fairy Tales, featured in a collection of favorite children's stories from the Emerald Isle, Celtic Folk and Fairytales, edited by Joseph Jacobs and illustrated by John D. Batten (1891). One Sunday morning, after the other two had gone to church, the old henwife came into the kitchen to Trembling, and said: "It's at church you ought to be this day, instead of working here at home." "I'll give you," said the henwife, "a finer dress than either of them has ever seen. And now tell me what dress will you have?" That moment she had the robe and the shoes, and she brought them to Trembling, who put them on. When Trembling was dressed and ready, the henwife said: "I have a honey-bird here to sit on your right shoulder, and a honey-finger to put on your left. At the door stands a milk-white mare, with a golden saddle for you to sit on, and a golden bridle to hold in your hand." When Trembling came to the door of the church there was no one inside who could get a glimpse of her but was striving to know who she was: and when they saw her hurrying away at the end of Mass, they ran out to overtake her. But no use in their running; she was away before any man could come near her. From the minute she left the church till she got home, she overtook the wind before her, and outstripped the wind behind. When the two sisters came home the henwife asked: "Have you any news to-day from the church?" "We have great news," said they. "We saw a wonderful grand lady at the church-door. The like of the robes she had we have never seen on woman before. It's little that was thought of our dresses beside what she had on; and there wasn't a man at the church, from the king to the beggar, but was trying to look at her and know who she was." Next Sunday the two sisters went to church again and left the youngest at home to cook the dinner. After they had gone, the henwife came in and asked: "Will you go to church to-day?" "What news have you to-day?" asked the henwife of the sisters when they came from the church. "Oh, we saw the grand strange lady again. And it's little that any man could think of our dresses after looking at the robes of satin that she had on! And all at church, from high to low, had their mouths open, gazing at her, and no man was looking at us." "Don't mind that; don't be vexed," said the henwife; "maybe it's the best thing that ever happened to you." Then Trembling gave up all the things she had to the henwife, put on her old clothes, and went to work in the kitchen. When the sisters came home, the henwife asked: "Have you any news from the church?" A third time she asked for a short absence, and soon came back on the third mare and in the third dress. All who saw her the third time said: "That is the lady we saw at church." Every man was satisfied and knew that she was the woman. Then the son of the king of Lochlin stepped forth. The struggle began, and a terrible struggle it was. They fought for nine hours; and then the son of the king of Lochlin stopped, gave up his claim, and left the field. Next day the son of the king of Spain fought six hours, and yielded his claim. On the third day the son of the king of Nyerfói fought eight hours, and stopped. The fourth day the son of the king of Greece fought six hours, and stopped. On the fifth day no more strange princes wanted to fight; and all the sons of kings in Erin said they would not fight with a man of their own land, that the strangers had had their chance, and, as no others came to claim the woman, she belonged of right to the son of the king of Emania. "Well," said the husband, looking at her, "I'm in dread it's my wife that was gone." 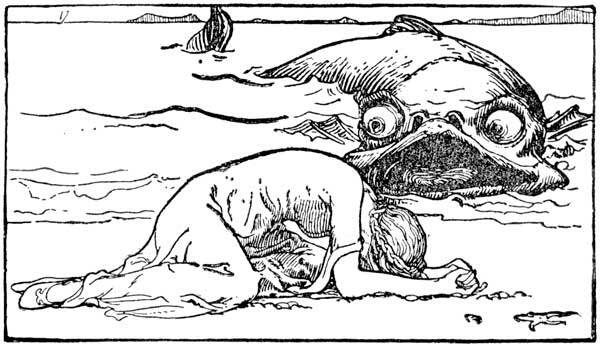 It happened, when the two sisters were walking by the sea-shore, that a little cowboy was down by the water minding cattle, and saw Fair push Trembling into the sea; and next day, when the tide came in, he saw the whale swim up and throw her out on the sand. When she was on the sand she said to the cowboy: "When you go home in the evening with the cows, tell the master that my sister Fair pushed me into the sea yesterday; that a whale swallowed me, and then threw me out, but will come again and swallow me with the coming of the next tide; then he'll go out with the tide, and come again with tomorrow's tide, and throw me again on the strand. The whale will cast me out three times. I'm under the enchantment of this whale, and cannot leave the beach or escape myself. Unless my husband saves me before I'm swallowed the fourth time I shall be lost. He must come and shoot the whale with a silver bullet when he turns on the broad of his back. Under the breast-fin of the whale is a reddish-brown spot. My husband must hit him in that spot, for it is the only place in which he can be killed." Next day he went again to the sea. 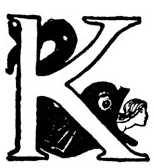 The whale came and cast Trembling on shore again. She asked the boy: "Did you tell the master what I told you to tell him?" As soon as the cowboy came home, the eldest sister offered him a drink. He refused to take it till he had delivered his message and told all to the master. The third day the prince went down with his gun and a silver bullet in it. He was not long down when the whale came and threw Trembling upon the beach as the two days before. She had no power to speak to her husband till he had killed the whale. Then the whale went out, turned over once on the broad of his back, and showed the spot for a moment only. That moment the prince fired. He had but the one chance, and a short one at that; but he took it, and he hit the spot, and the whale, mad with pain, made the sea all around red with blood, and died. That minute Trembling was able to speak, and went home with her husband, who sent word to her father what the eldest sister had done. The father came and told him any death he chose to give her to give it. The prince told the father he would leave her life and death with himself. The father had her put out then on the sea in a barrel, with provisions in it for seven years. The cowboy and the prince's daughter lived on till they were married. The mother said to her husband: "You could not have saved me from the whale but for the little cowboy; on that account I don't grudge him my daughter." Add Fair, Brown, and Trembling to your own personal library.